Aydan Cavanaugh stepped up to the plate to show off his slugging skills. He kept his eye on the ball. The ball soared through the air. It was good. But he didn’t run to a base. He had nine more hits to go. The 9-year-old plays for a Little League team in his hometown of Media, Pa. On Sunday afternoon Aydan joined about 80 boys and girls, ages 7 to 12, for the 2018 Philadelphia Phillies Home Run Derby, an annual baseball competition at Dealy Field, located at 59th Street and Central Avenue. 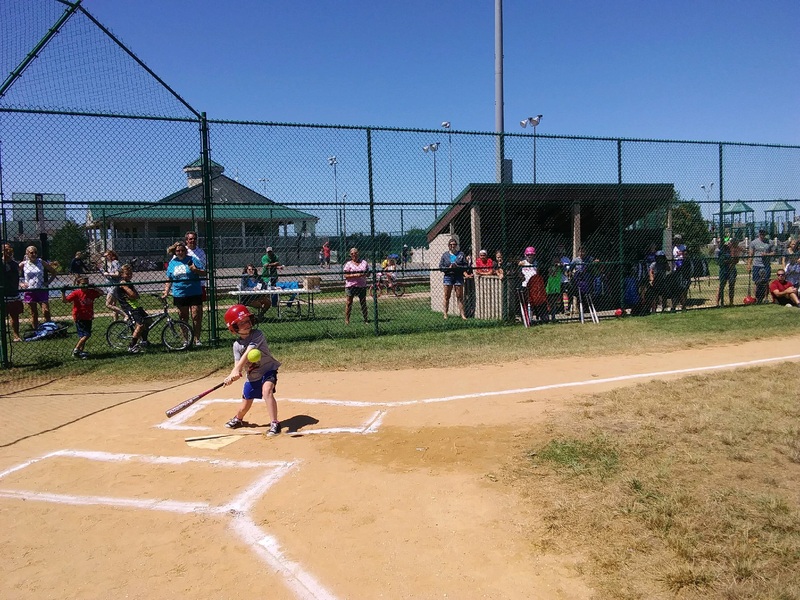 The Home Run Derby is broken down into three age groups for the boys and girls. An automated pitching machine shoots out the balls and points are racked up depending on how far the balls go and other factors. For Aydan and the other participants, the free event is an opportunity for young athletes to showcase their batting skills. “Do I get a prize?” Aydan asked his father before he went up to bat. 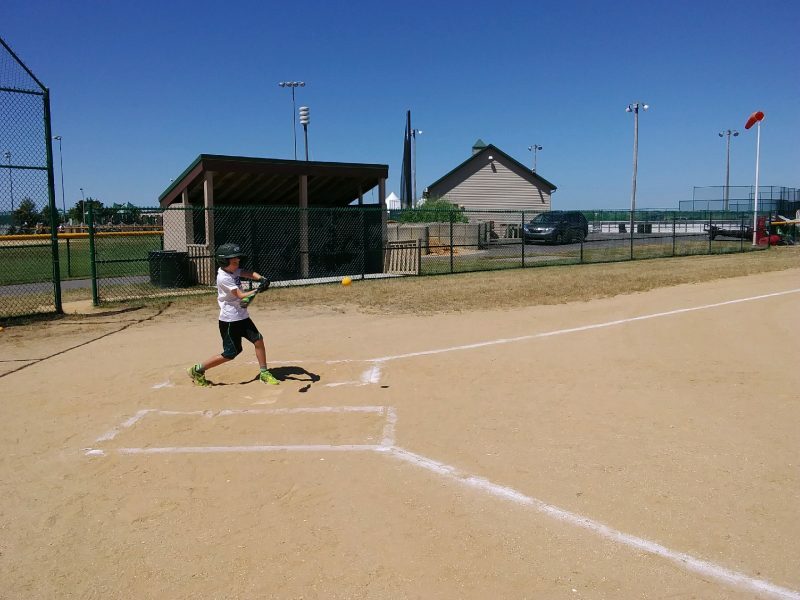 His favorite part of baseball is hitting, and he appeared confident that he would do well. “You get bragging rights,” said dad Bryan Cavanaugh. The proud dad high-fived his son when he finished hitting. Aydan Cavanaugh tosses a ball to another athlete while Jimmy Frat Jr. (in uniform) waits his turn to make a catch. “He gave baseball a try and it turns out he has a really good swing,” Bryan Cavanaugh said, adding that this was their first year at the Home Run Derby. While Aydan hoped he would be among the top finishers, there was good reason. 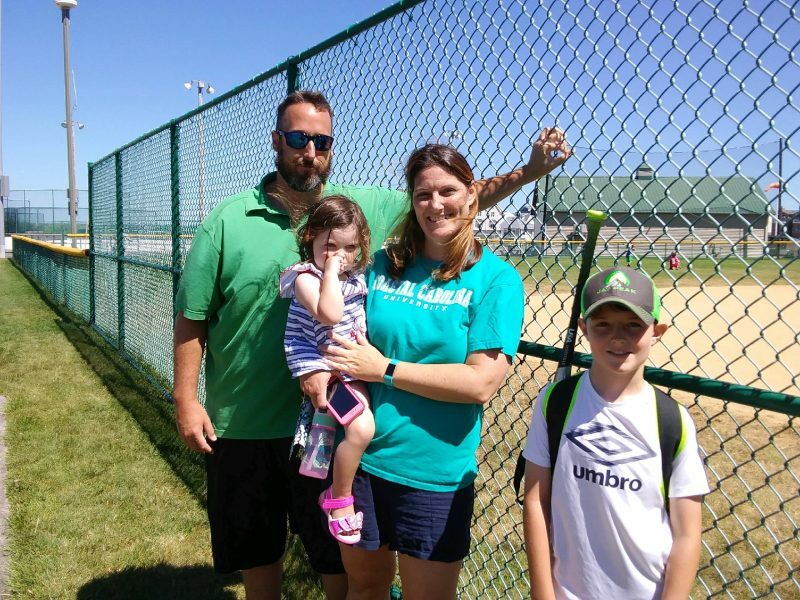 Bryan and Kelly Cavanaugh, with their kids Skylar, 2, and Aydan, 9, wait for Aydan’s turn at bat. The top three athletes in each age group for boys and girls advance to regional competitions in August. The winners of the regionals will compete in the Home Run Derby Championship in Philadelphia at Citizens Bank Park, home of the Phillies. 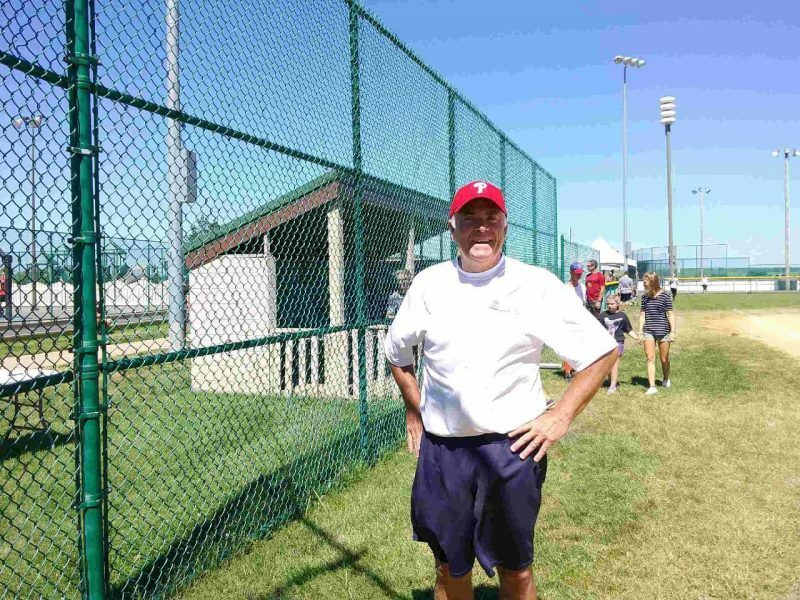 Nearly every ball Grace Bendorf’s bat touched got the call from event organizer Paul Bradley, who was operating the ball machine for the girls’ turns at bat. “That’s a base hit Grace!” Bradley shouted. At one point the little girl ran to first base, caught up in the triumphant moment of another solid hit. Bradley smiled and turned quickly to Grace who ran back from first for another turn at bat. 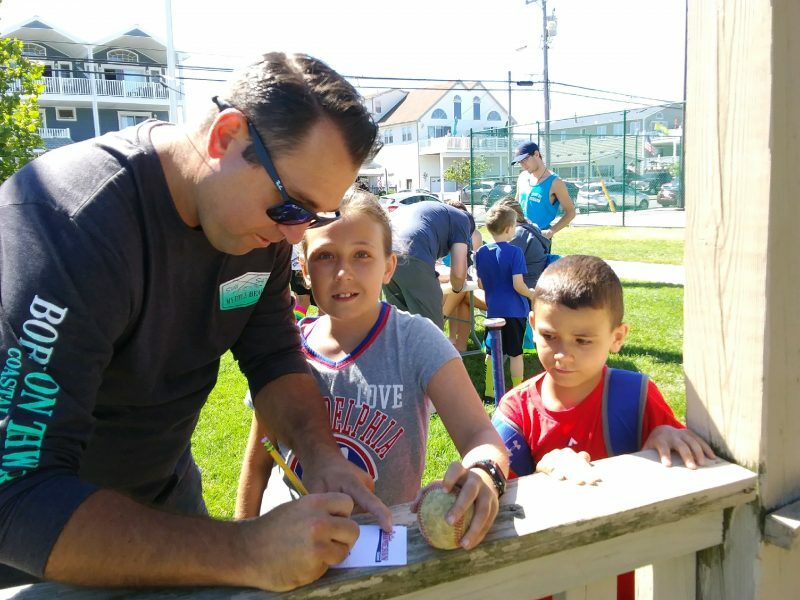 Paul Bradley, of Pennsylvania, says organizing the Philadelphia Phillies Home Run Derby is a lot of work but it pays off with rewards of seeing the kids enjoy the sport. 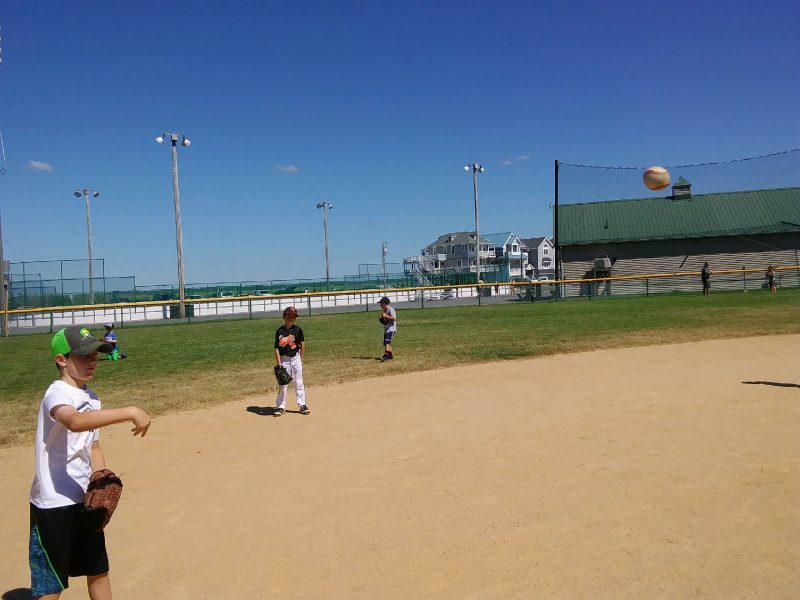 Bradley teams up with Sea Isle’s Division of Recreation every year to hold the event at Dealy Field. His late father, Jack, began the Home Run Derby 48 years ago. “I’ve been pitching to the kids for 35 years. I’ve pitched to their parents. It’s a great time,” he said. Bradley recalled pitching to Mike Trout about 14 years ago, when the Millville native who went on to play for the Los Angeles Angels, participated in the Home Run Derby in Millville. Bradley said there have been other major players throughout the years. Young athletes had their turns hitting the ball. Most of the participants in the Home Run Derby wore T-shirts and shorts, Jimmy Frat Jr., 10, of Philadelphia, wore his official Little League uniform for the DV Senators. The family was on vacation in Sea Isle for the week. “He couldn’t wait to get down here and hit some balls,” Jimmy Frat Sr. said, adding that this was the last day of their vacation and a great way to end it. 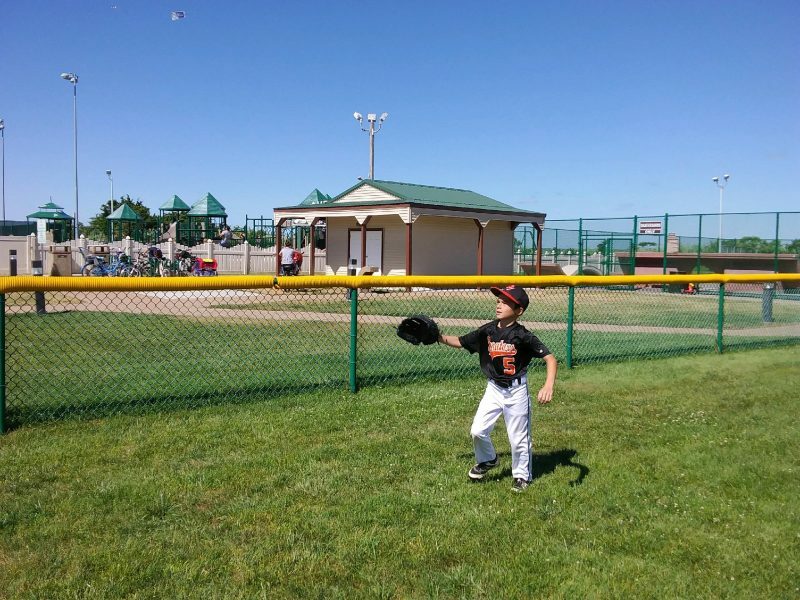 Jimmy Jr. practiced throwing and catching for a while, with Aydan Cavanaugh. They spent a good amount of time warming up before they got serious on the batting machines. The father son team said it would be cool if he made it to the championship competition at Citizen’s Bank Park. “All we’d have to do is walk across the street,” Jimmy Frat Sr. said with a laugh. 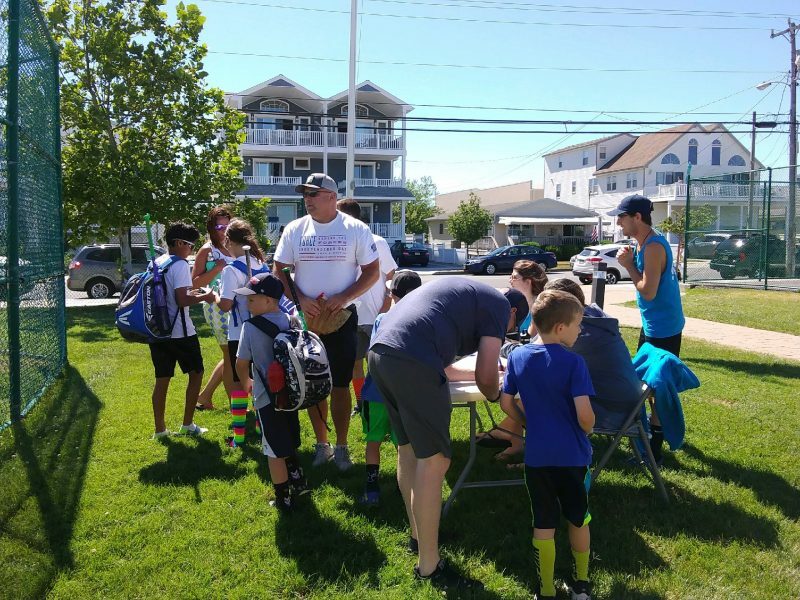 For additional information about the Philadelphia Phillies Home Run Derby in Sea Isle City, phone (609) 263-0050 or go to www.VISITSICNJ.com. Jimmy Frat Jr. has no problems catching. Marc Staley registers his children Rayna, 10, and 7-year-old Marc for the derby. Kids line up with their parents and guardians to register for the fun event. 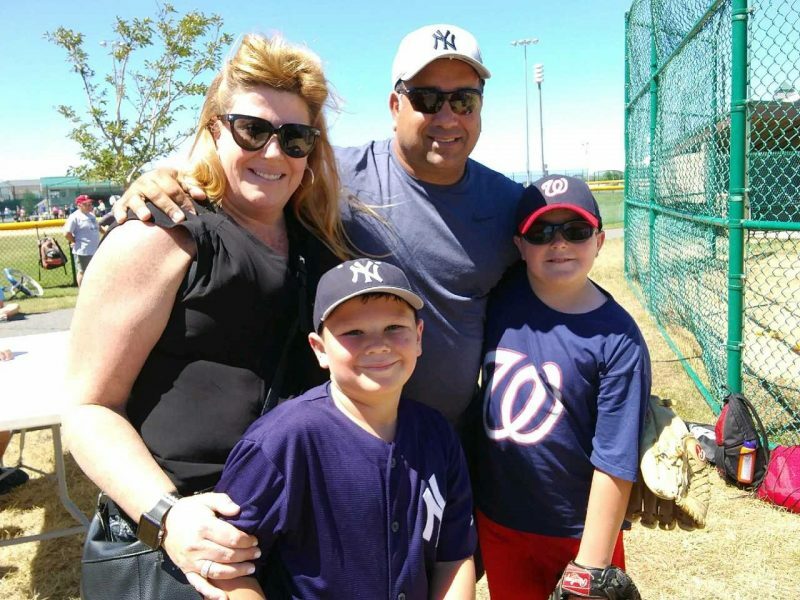 Colleen and Dave DeFeo with children Bradley, (left) and Andrew, of Margate, love baseball. Dave coaches in their hometown.